It’s our newest episode of our series on our food and our world, Sound Bites! 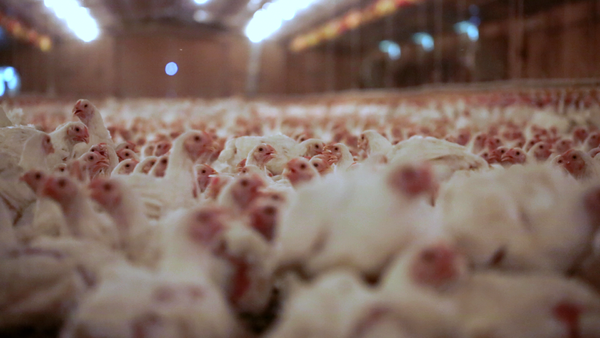 Today’s show includes a talk with Perdue Farms and others about Perdue’s announcement earlier this week that they are adapting new, more humane, practices regarding the treatment of their chickens. With: Julie DeYoung, spokesperson for Perdue Farms; Ian Kullgren, POLITICO Pro Agriculture reporter; and Scott Edwards, Co-Director of the Food & Water Justice program at Food & Water Watch. We close Sound Bites with a special segment produced by Baltimore Sound Society, as Adam Droneburg and Calvin Perry visit a food justice event at Baltimore’s Lexington Market.